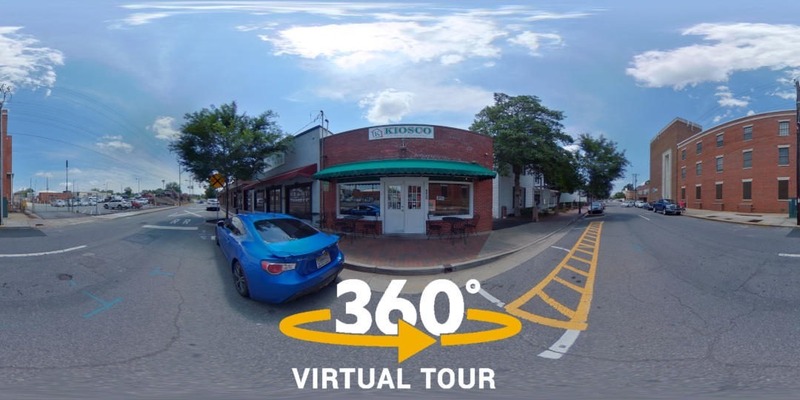 Kiosco Colombian Restaurant now has their own virtual tour on Google Street View! Kiosco is a family owned and operated Colombian restaurant and one of the top dining destinations at the Marietta Square. Explore the virtual tour below. Use the button on the top right to go full screen. The official Kiosco logo has been added to the virtual tour photos. The virtual tour photos are added to Kiosco’s Google Business listing and provides a boost to their SEO.